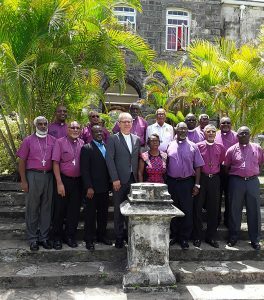 CPWI House of Bishop with the General Secretary of the WCC. 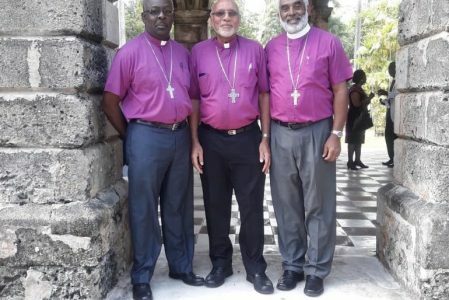 Also in the picture are the Rev Karl Johnson and Mrs Eleanor Lawrence Caribbean representatives on the Central Committee of the WCC. 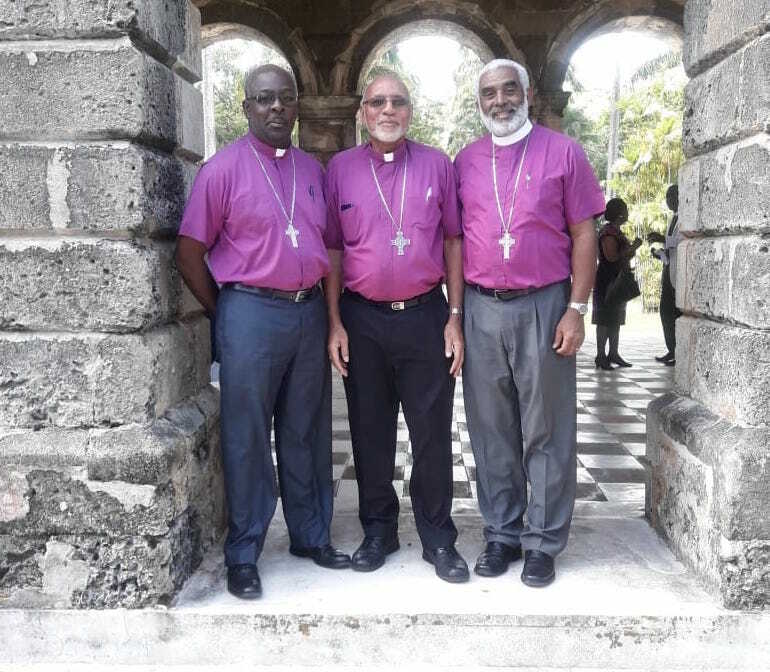 Our Bishops Leon, Howard & Robert (see photo below) are currently in Barbados from October 1-6 for a meeting of the House of Bishops in the Province of the West Indies.